The age, value and architecture of your house will have a considerable impact on the style of windows you can afford to install. You also need to take into consideration your budget, your environment and your lifestyle before making a decision. 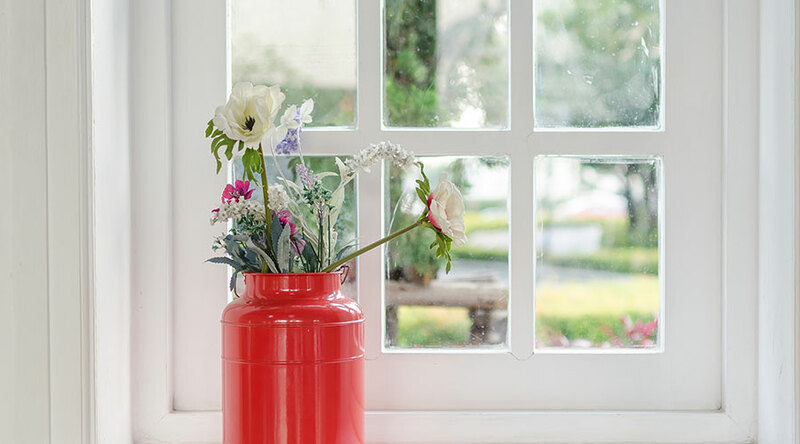 To ensure you secure the most suitable windows for your home and family, take a read of our guide to different styles of windows. There are so many different styles of windows to choose from that making an educated and rational decision can be overwhelming. To get an idea of all the window styles available on the market and an understanding of which type will best suit your home, take a read of our guide. This design of window is hinged at the side on two different panes and opens like a door. However, there are also a number of other alternative configurations. The openers can be top, side hung or fixed. They are brilliant for ventilation purposes and ideal for properties located in specifically warmer climates. You can almost eliminate the need for fans or other cooling devices with the installation of casement windows. Because the wind is rarely flowing directly at your windows, by opening the windows at the correct angle, you can capture the breeze and allow it to circulate the room effectively. They provide an excess of light into the room and offer a wholly unobstructed view. Casement windows are also excellent thermal insulators. They are fully sealed, creating an air resistant barrier to prevent heat loss and helps to cut home heating bills. These windows are also effective noise insulators and are ideal for properties located in built-up and busy areas. Although the design of these windows makes them easy to open and close, without a child lock to stop them from opening too far, these windows can be dangerous for properties with young children. Some windows come with built-in stays to prevent them from opening further than necessary. If not, then you can attach a small chain to both the frame and the window to restrict it opening too wide. In addition to that, although these windows open and close easily, they are limited when it comes to adjustability. If you do not maintain casement windows regularly and efficiently enough, then the hinges will become rusty and easy to break in to. Make sure to ensure they are always in good condition to ensure the safety of your home and family. Whilst it is standard for most windows to open outwards, tilt and turn windows are designed to open inwards for increased ventilation, easier maintenance and improved security. This style of window is specifically beneficial for households with small children. Although it can be opened wide, you can tilt the window inwards to prevent children from getting into danger whilst ventilating the room. However, because the windows are able to be opened fully, they are easy to clean both inside and out. This style of window is also particularly suitable for providing an unobstructed view and allowing sufficient light levels into the room. Tilt and turn windows are usually made from uPVC and means they are extremely durable, highly weather resistant and immune from rotting or warping. They are, however, available in a number of different materials, colours and finishes. These windows are easy to use, effortless to maintain, extremely safe for young children and will most property styles. These windows are also known as Tudor or cottage windows and specifically complement the older, more traditional looking properties. Having said that, they are equally appropriate for adding a touch of tradition to a contemporary home. The style of the Georgian window features horizontal and vertical strips and are available in a variety of materials. Traditionally, the Georgian window should be made from hardwood and incorporates a double hung window with an upper smaller sash. However, to achieve the classic appearance without compromising security and energy efficiency performance, many homeowners now opt for uPVC made Georgian windows. Nevertheless, you must consider that installing uPVC windows might well reduce the overall value of your property. The sash window is a chief supporter of Georgian and Victorian properties and is widely used on traditionally designed new builds. The distinctive design of the sash window is made up of two sashes that can slide up and down. There is one sash in front and one behind and are counterbalanced by lead weights on cords. The traditional windows were designed with no outward swing, but more modern designs have added a tilt in feature to make cleaning more accessible. If you own a listed property, then replacing the existing windows with genuine timber sash ones may be your only option. There are a number of companies who specialise in authentic replacements. You can opt for sash windows to be built from different materials, but you may find that having the timber suitably painted or stained will increase their longevity and durability. If maintained appropriately, timber windows can often last longer than uPVC and will not require as much maintenance. However, if you are looking for uPVC sash windows, then they are the ideal substitute for painted wood. uPVC has many desirable traits; it requires minimal maintenance, it is energy efficient, and then at the end of its service, uPVC can be recycled. An alternative to using both timber or uPVC is composite sash windows. The design is a combination of wood and aluminium. The internal wood element ensures the traditional look still exists, but the aluminium provides adequate weather resistance qualities. The external aspect of the window requires virtually no maintenance. Overall, hopefully, you have found this guide valuable, and it has provided a sufficient amount of information for you to now make an educated decision. Make sure that when you are looking for suppliers and fitters of windows in Milton Keynes, that you choose a reliable and reputable company. For more information on any of the windows we have discussed, do not hesitate to get in touch with us today. Previous PostBest places to buy central heating radiatorsNext PostWhy Choose Aluminium Windows For Your Home?